Get plenty of user-added content on your website. Ideal for your SEO! Configuration is easy. Documentation assumes you already have created an account at Disqus and have defined your Disqus subdomain. 1. 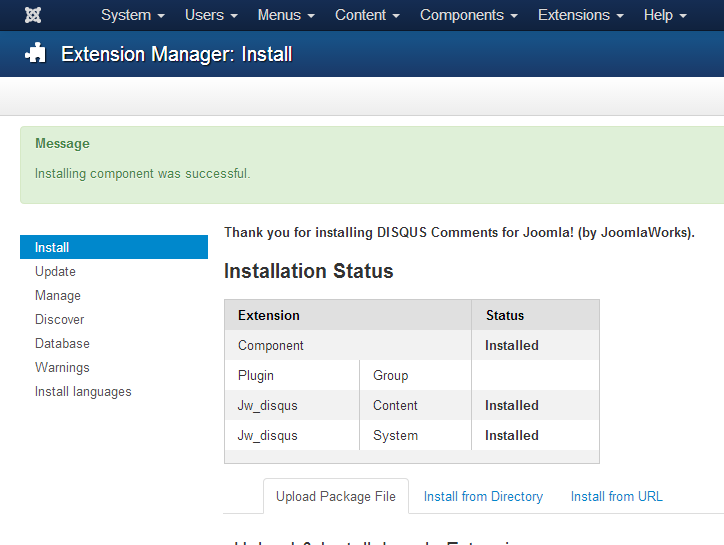 Download and install Disqus for Joomla from JoomlaWorks. It's free, no registration required. 2. 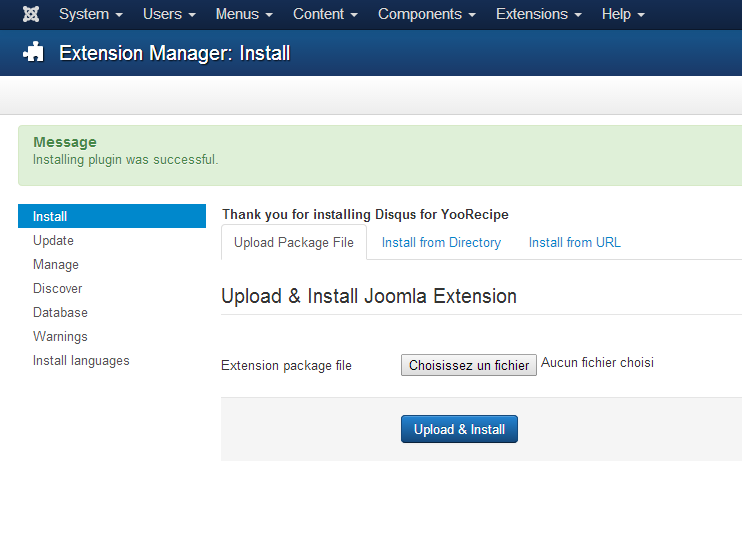 Download and install YooRecipe Disqus Integration plugin. Go to Extensions > Plugins Manager, look for the plugin and edit it. This plugin comes with a few configuration options. Disqus subdomain: mandatory. It is the information you entered when setting up your account at Disqus. Language: the user language for Disqus in front-end. 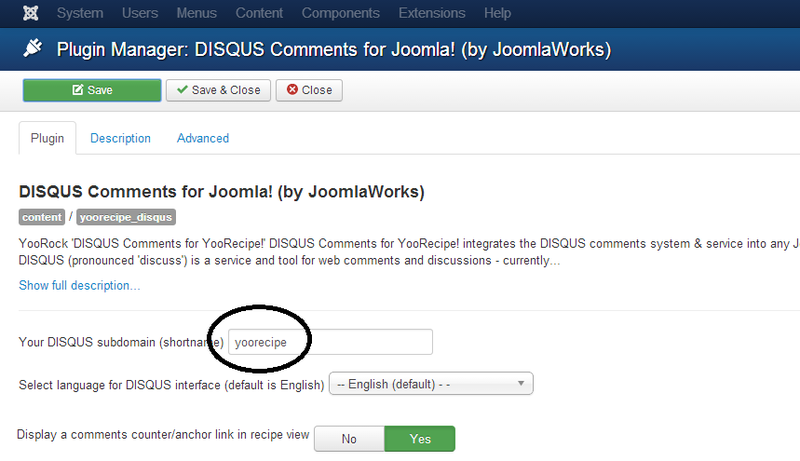 Display comments in recipe view: Displays Disqus in recipe pages. If you run NS Recipes on a local server, please enable the Development plugin option in Advanced tab.